It is with deepest pride and greatest pleasure that we welcome you here to our culinary cuisine. Go on, go on, take a good look at our menu below, now that you’ve become our guest. Hope you’ll sit back and relax as we fully satisfy your appetite! 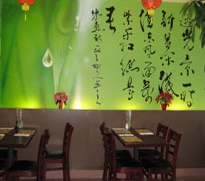 We have created the pages of “98 Super Panda Chinese Restaurant” so we could give you a broader perspective to how diverse and in depths the culture really is.As you enjoy the cuisine with us, we hope that you see not just the unique culture itself, but also the people who gives them it’s name and deed. And why not take a minute or two yourself to think about your culture and cuisine! Any delicious recipes of your own? Send it to us and will post it up! – Reader Choice Award by Poll through The Collingwood Connection Newspaper.